Digital Caricatures? Digital Caricatures are the same art form you've come to know and love, just technologically evolved. Digital caricatures are drawn on an electronic tablet using a pressure sensitive stylus. The artist works in a drawing program, e.g., Photoshop or Corel Painter. Folks find it fascinating to watch the cursor dancing around the screen as it selects and modifies the various drawing and editing tools at the artist's disposal. 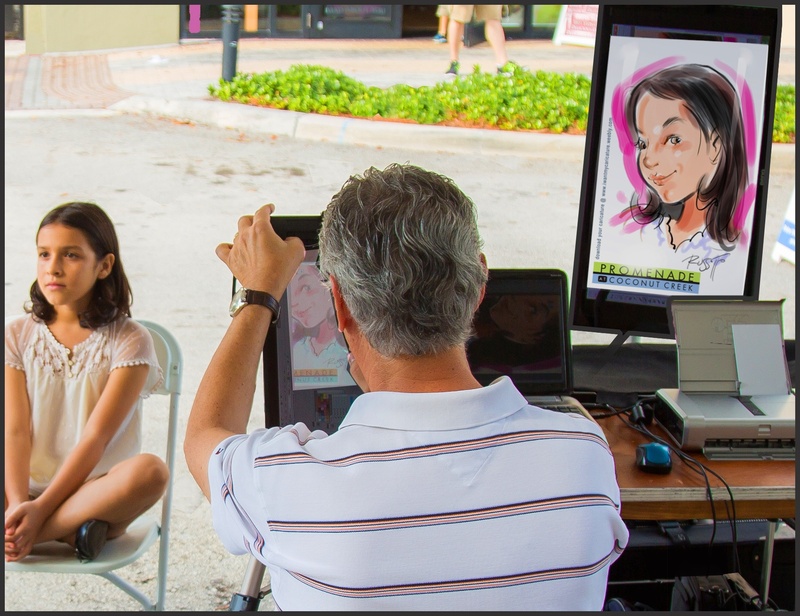 The finished caricatures are saved as a jpeg and printed on location. The digital files are uploaded to a dedicated website for your guests to download and use as they please. 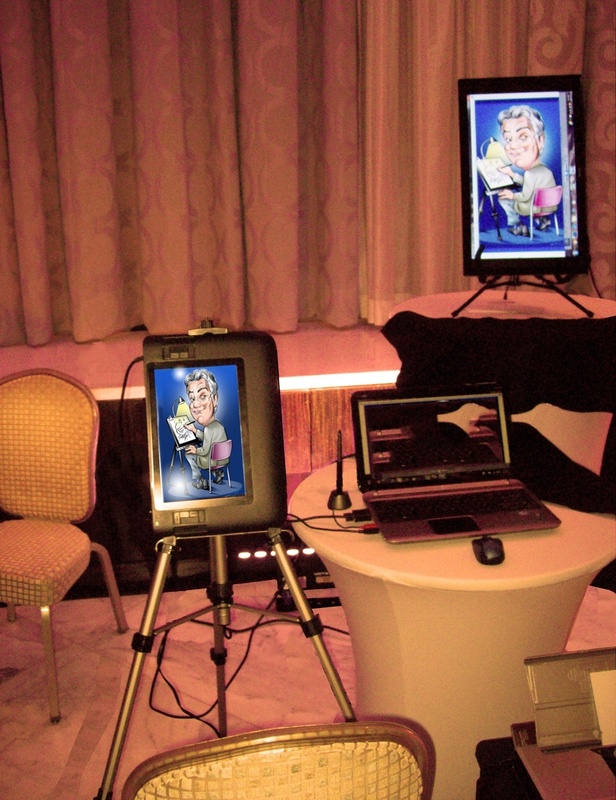 If you like the idea of having a caricaturist at your next event but are wondering "What's new?" - this is it! Click on this text to see a video of me finishing up a digital caricature.